Numbers don’t lie, but they are quite good at concealing the truth. 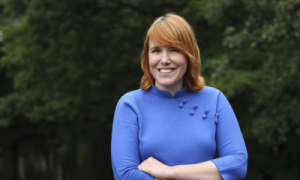 In this interactive theatre lecture Ionica Smeets shows you how easily you can be fooled by numbers with surprising real life examples, weird mathematical paradoxes and specially made animations. SG Lecture by Ionica Smeets, Professor of Science Communication, Leiden University. Free entrance, but registration is necessary.